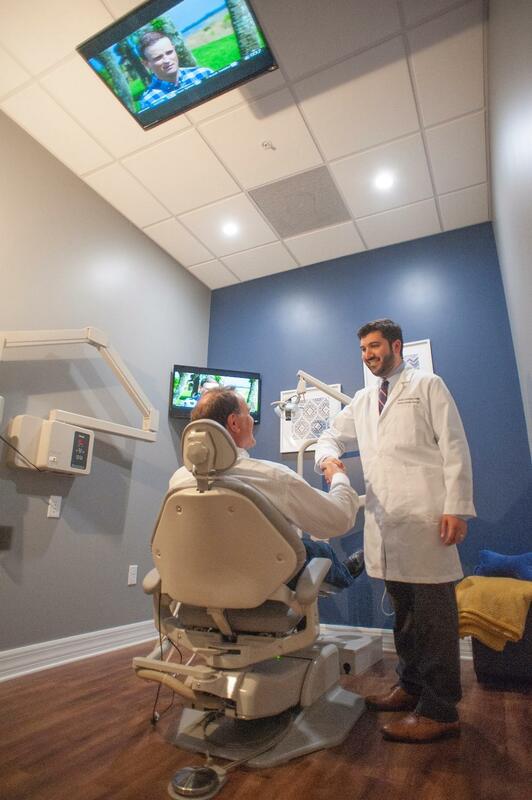 When you step into our new office, you'll know we're not just another dental practice. 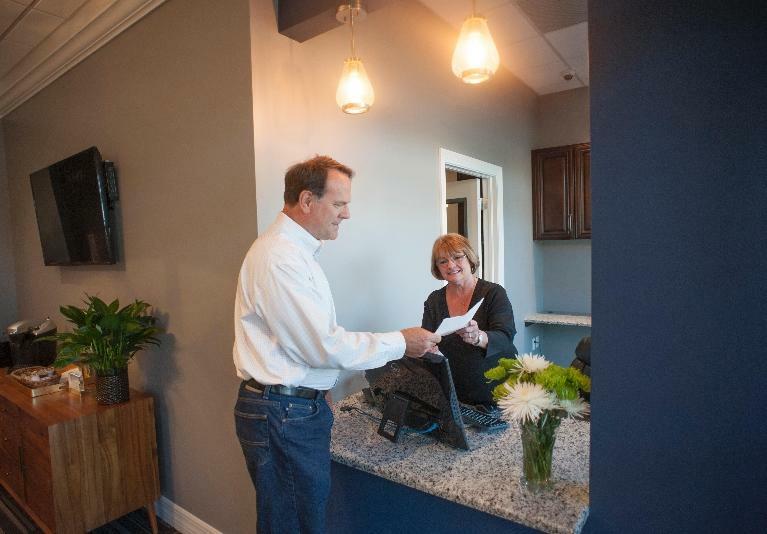 First, you'll be welcomed into our warm and soothing setting by a friendly member of our team. As your treatment begins, you'll find that we've stocked our office with so many stress-reducing amenities that you'll wonder why you ever worried about going to the dentist! We look forward to welcoming you personally, but until we see you, please take a moment to browse through our office pictures. 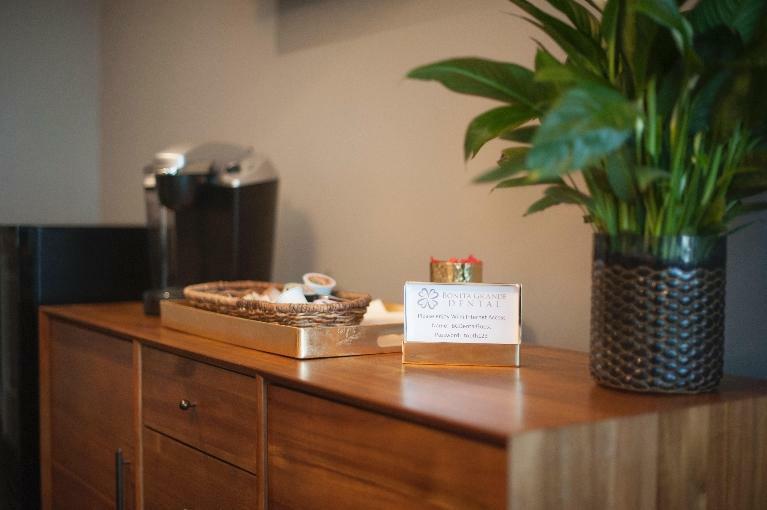 First, you'll be welcomed into our warm and soothing setting by a friendly member of our team. 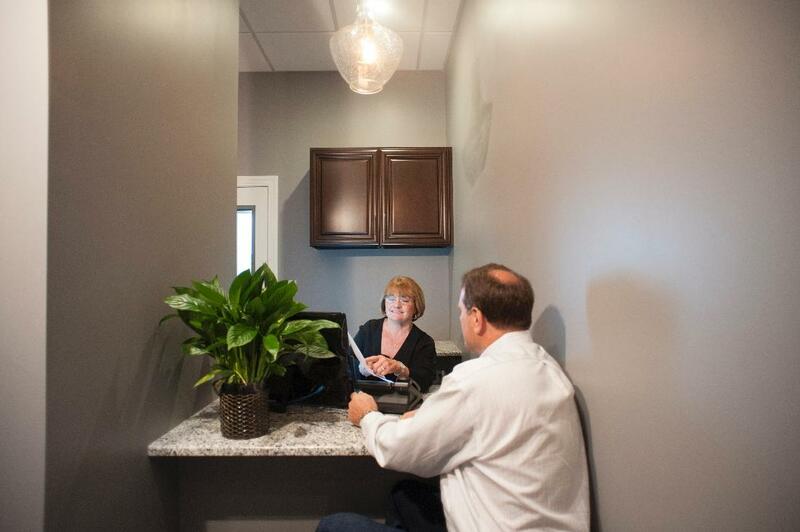 As your treatment begins, you'll find many stress relieving amenities. 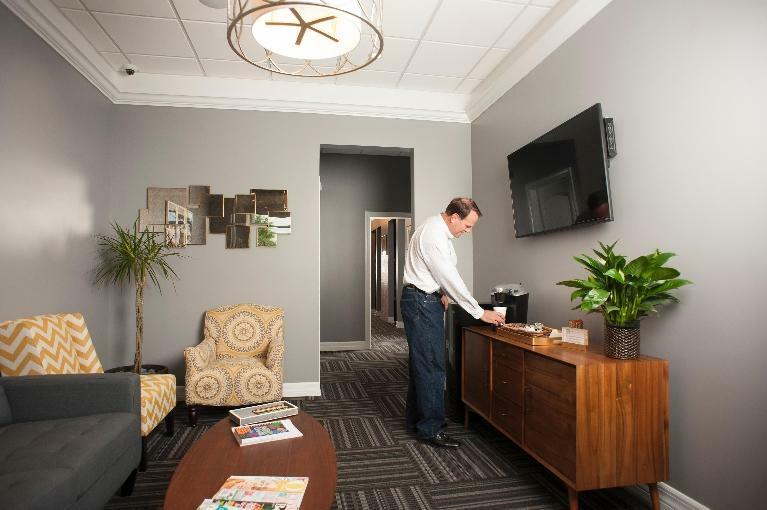 In our waiting area you can relax with a cup of coffee and watch T.V. 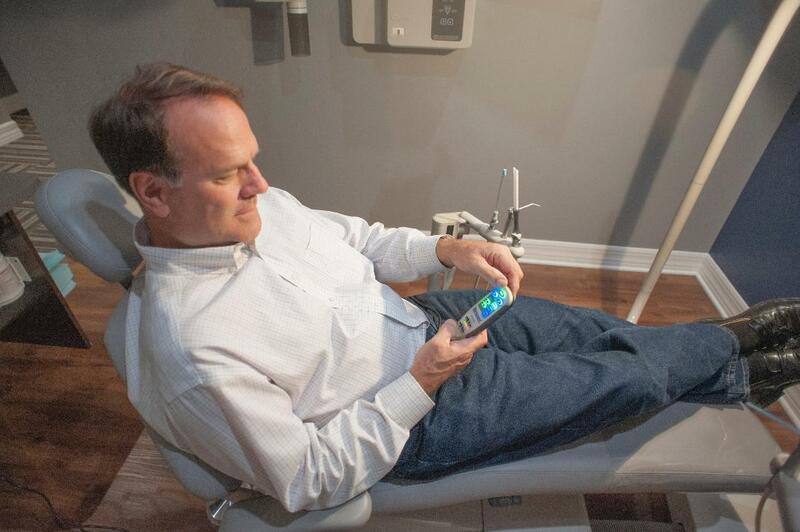 Patient at Bonita Grande Dental using a remote controlled heat and massage chair. State of the art exam rooms equiped with T.V.s!